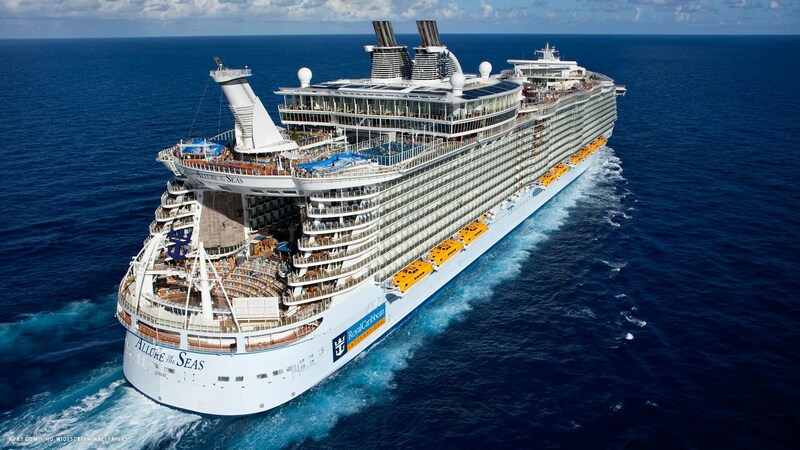 MS Allure of the Seas is an Oasis-class cruise ship owned and operated by Royal Caribbean International. After many years of deciding where to go on a cruise, I finally decided to take my first cruise around the Caribbean Islands. One of my many childhood dreams was to visit the Caribbean Islands one day. This was going to be one of the moment in life that I was going to treasure for the rest of my life. This wasn’t a simple decision-making process. I had a lot of planning and organising before finalising everything, including: airfares, cruise fares, accommodations, travel insurances, taxes and entry green-card to USA. This was going to be a trip of a life time where nothing was going to go wrong my way. Instead of taking a direct flight to America from Australia to join the cruise of a life time, I decided to take a long route to my destination. My journey began as it unfolds from the city of Cairns, Australia to the Caribbean Islands. I flew out of Cairns domestic to Brisbane domestic airport with Qantas. On arrival in Brisbane, I then caught a transfer shuttle bus to Brisbane international terminal lounge for London bound. If your Qantas member or customer for each route, they provide free shuttle to the Brisbane International terminal. The flight from Brisbane to London almost took 23 hours of flight with stop-over in Bangkok. I was fortunate to travel on business class which made the long flight very comfortable from start to finish. For those travellers, not travelling on business class, it can be uncomfortable and can cause few health problems, especially when your sitting on one particular position for a long period of time. It is highly recommended that you take time to do few stretch exercise during the flight. The crew staff are aware of that and the seats in front of you have laminated A4 size paper which details all the exercise instructions, including safety instructions incase of emergency. When travelling in business class, you have the luxury of everything from comfortable sleepers to choice of menus to endless entertainment. However, most international flights always cater good meals during the flight. For anyone who has any dietary requirements for various reasons, you can request in advance and can be arranged prior to your departure. The onboard flights have entertainments from magazines to movies that may interest you. Finally, we landed in Heathrow airport in London where I spent a week there visiting friends before taking an 8 hour flight to New York. After spending 7 days in New York, I finally boarded my flight to Miami which only took 2.5 hours flight time. Miami is the main hub for all mega cruise-liners that cruise around the Caribbean Islands. For anyone travelling to these places for the first time, it is a mad rush and it can be very confusing and stressful. You have to be prepared for this kind of “airport chaotic syndrome”. Even though, I have been through this rush many times before, I still find it confusing. The whole process of going in and out of the international or domestic terminals are in total mayhem to maniac. It is the process of going through the airport checking system which is torturous and daunting. I feel like, I am standing in a guarded que in a detention centre roll-call, waiting for my turn to be stripped and searched before proceeding to the next. After taking my luggage from the carousel, I made my way out of the terminal where I jumped onto the waiting taxi to the hotel. Most airports are flooded with taxis and other transport services are readily available and endless. You can either choose to get a taxi, van or private limousine which are all accessible within the airport entrance. Like many other places around the world, tipping has become part of the culture in America – that any person providing service to you, you have to give a tip. Tipping—which originated in the taverns of 17th Century England, where drinkers would slip money to the waiter “to insure promptitude” or T.I.P for short. Tipping in the United States began just after the American Civil War in the late 1800′s. The wealthy Americans traveling abroad to Europe witnessed tipping and brought the aristocratic custom back with them to prove their elevated education and class. The next day, I caught a mini bus with other cruise-goers to the cruise terminal. Like, any other check-in systems, I had to go through security checks, passports and luggages. Just before you board, your picture is taken and then given a cruise-card. On the card, it has your name, stateroom number and deck level. It also, has your all personal details including your picture but it will only appear on their computer screen, once the card is scanned. Finally, I was onboard the Allure of the Seas cruise liner. This cruise liner was massive and gigantic. It carries around 5000 passengers and almost 3000 crews. To be on this for the first time, I was totally amazed and mesmerised by everything as I step inside the entrance. I then headed up to my room and unpack my luggage which were already there outside my room. I made my way back down to the main foyer again for the emergency drill. The emergency drill in every cruise-ship is very important incase of an emergency. After the drill, I went back to my room to refresh myself before exploring this gigantic floating city. My state room was on deck level 15. I had to use lifts/elevators to access all levels. The room was spacious and enough for 2 people but I had the privilege to have it alone. The sliding doors of my room opened straight out to my own private balcony and onto the open waters. It was so comforting with the cool breeze from the ocean made me relaxed in bed without having to step out. For anyone going on a cruise, it is worth it to pay extra to have a bigger room with private balcony. Below is the big room with private balcony that I had to myself. Our cruise began in Fort Lauderdale, a city just north of Miami. It is a very popular tourist destination because of its sunshine most year around. It is very similar climate – warm temperature year-round in Cairns. It is also the major hub for most of the gigantic cruise-liners that leaves for the Caribbean seas. As we started to sail outwards to the open ocean, everything seems so tiny and peaceful. Looking at the coastline and the city of Fort Lauderdale, it reminded me of how beautiful and unique each place is, comparing to coastlines in Cairns, Australia. The weather was a little overcast, windy and slightly rough. I usually get sea-sick and was very worried about it, thinking how I was going to handle this cruise journey. As we slowly made our way out of the port, most of the passengers made their way to the open top deck level to have a glimpse of the city of Fort Lauderdale and wave to the people below us as we leave. As we headed out further into more wide and open sea, I made my way inside as there was nothing to see except the deep blue ocean as far as I could see. I began to explore various areas of the cruise-liner, starting from the bottom deck which is the main promenade area of the cruise-ship. On board this cruise-liner, it had everything. It had a huge shopping complex bars, cafes, few souvenir shops, restaurants, swimming pools, gym, playing courts and various entertainment areas and the list is endless. Many times, I thought to myself I was walking through a huge shopping complex in the main street of downtown Manhattan. It was just surreal. Once your onboard, everything becomes cashless transactions. The use of cash and credit cards becomes invalid throughout the entire cruise, unless your gambling. The cruise-card replaces your cash and credit card to purchase everything onboard. In every cruise-travels, all meals are inclusive. You can eat much as you like in all restaurants only, except if your dining in a speciality restaurant where you pay for all your meals and drinks prior. However, all drinks are not included, except water, juice and percolated coffee/tea in dining areas only. The flow of drinks becomes endless as waiters comes with all drinks from mocktail to cocktails. If your drinker, the bars are everywhere and they become part of your friends throughout the entire cruise. The drinks are always inviting and it is wise to keep count of all your dockets and monitor your spending on drinks. The bill is sent to you at the end of the cruise and you might be surprised when you see it. However, you can monitor your spending on the tv screen in your rooms. Onboard the cruise ship, the entertainment is endless. There is something for everybody to do from adrenaline pumping to mind and body relaxation. If your feeling energetic and adventurous, you can try rock-climbing or even do surfing at the very top deck level of the cruise ship. If that is not style of activity, you can simply sit and relax watching live performances at the aquatic centre or live shows at the main theatre. If your traveling with children, you can take them to the kids fun and games activity deck level. After leaving the shores of Ft Lauderdale, USA and headed into the open sea in the Caribbean seas for 2 nights, we arrived at our first port of call – Labadee in Haiti. Labadee is a port located on the northern coast of Haiti within the arrondissement of Cap-Haïtien in the Nord department. Labadee is completely tourist-oriented town because of its sun and pristine sandy beaches. After exploring this tiny island of Labadee, we headed to our second port of call – Falmouth in Jamaica. Falmouth, a town in Jamaica is the capital city of Jamaica’s Trelawny Parish. It’s a busy cruise-ship port that lies between Ocho Rios and Montego Bay on the island’s north shore. The city is characterized by its Georgian architecture, concentrated in the Falmouth Historic District. To the south, the 18th-century Good Hope Estate was originally a sugar plantation. East, near Ocho Rios, Dunn’s River Falls cascades over limestone rocks. Finally, after spending a day in Falmouth, we then cruise to tiny island of Cozumel in Mexico. Cozumel is a Caribbean island just off the Yucatan Peninsula in southeastern Mexico. It is mostly undeveloped Mexican island in the Caribbean Sea and is very popular cruise ship port of call. Cozumel has great beaches, nice people, and safe streets, with prices comparable to other Mexican tourist destinations. Cozumel is the final place that we visited while traveling through the Caribbean islands. From there, we sailed back to Ft Lauderdale where we began our unbelievable cruise. It was undoubtedly a relaxing holiday for me. I found that cruising is the only way to go for relaxation without having to pack and unpack. I was quite surprised and relieved that sea-sickness wasn’t an issue throughout the whole cruise. This cruise around the Caribbean islands, not only shows me the beach and sun destinations but various exotic islands, which are simply “Paradise in the Caribbean”. It gives you the opportunity to go out and explore these islands with each have their own unique lifestyles. It certainly gave me time to blend in with the locals in each of the islands. From a personal perspective: Life on the cruise is a complete different lifestyle of holidays. Every day when you wake up, everything is just a step away all located in one area and floating with you. Cruising around the Caribbean islands not only taught me to experience the beauty of the exotic island beaches and the sun but to see and understand the realities of how people live on this tiny islands which are over-populated . I wonder, what it was like before tourism came to change or altered their way of life. Whether that change is for better or worse?